Building your next adventure starts here Established in 2012, DIY Off Road Products is here to give you a head start on your project. We know there are many Off Road Jeep enthusiasts interested in building their own. 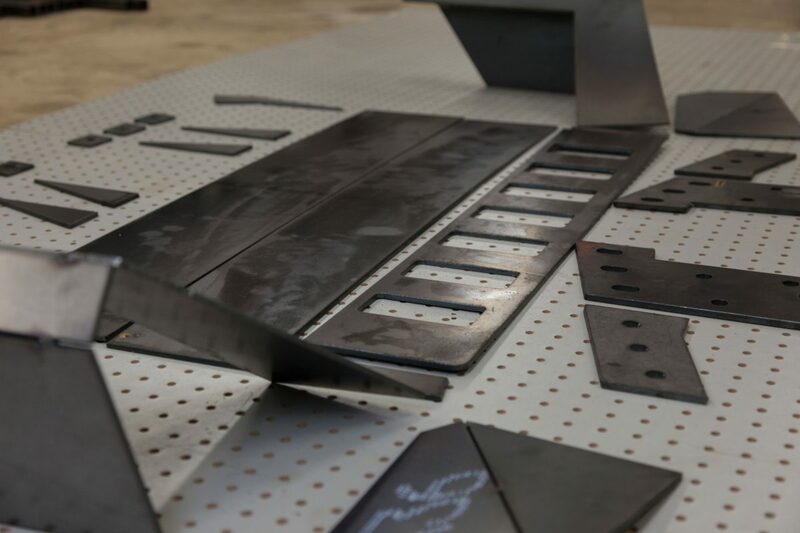 Since there are very few companies offering high quality “weld your own” pre-cut bumper kits, we took on the challenge. We take the guess work out of the process then offer affordable alternatives for the “Do It Yourself” Offroader. 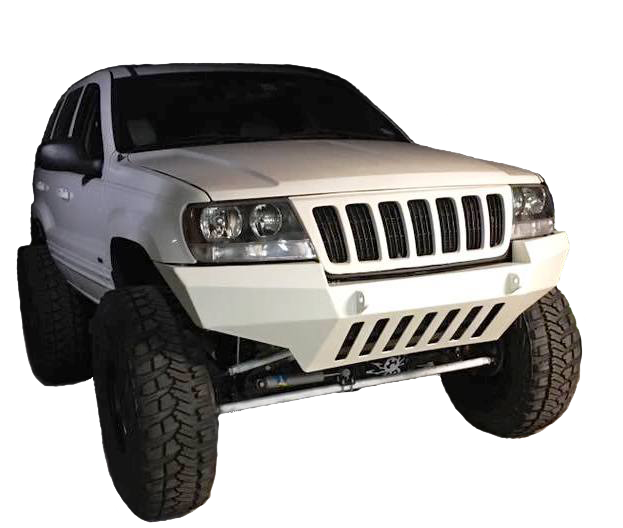 We began by making the Jeep Cherokee XJ front winch bumper kit and quickly responded to the ever increasing requests for ZJ and WJ Grand Cherokee bumper kits and parts. Today we operate from our 2400 square foot shop and are always in the process of expanding our product and service offerings. DIY Off Road Products is proud of our quality and the personalized services we offer. 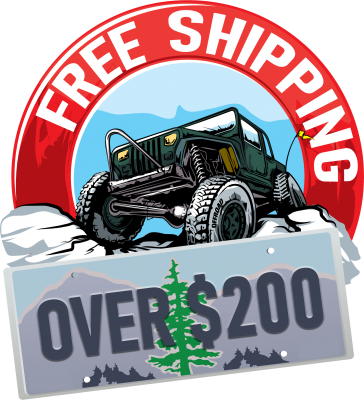 We are ready to make bumper kits and parts that the professional and amateur Jeep builder or back-yard welder can afford and build and that will hold up on the trail. DIY Off Road Products is located in the beautiful Willamette Valley near Salem Oregon. The west coast is a great place to enjoy the great outdoors, especially Off Road and there are a multitude of places to go for that here. Our focus is to make sure that our customers are satisfied with the products and services that we offer. We treat you like family, the way you deserve to be treated. Just give us a call and let us know how we can help you! You will love our DIY Jeep Bumpers! I’m the sort of car gal who is very particular about her builds. 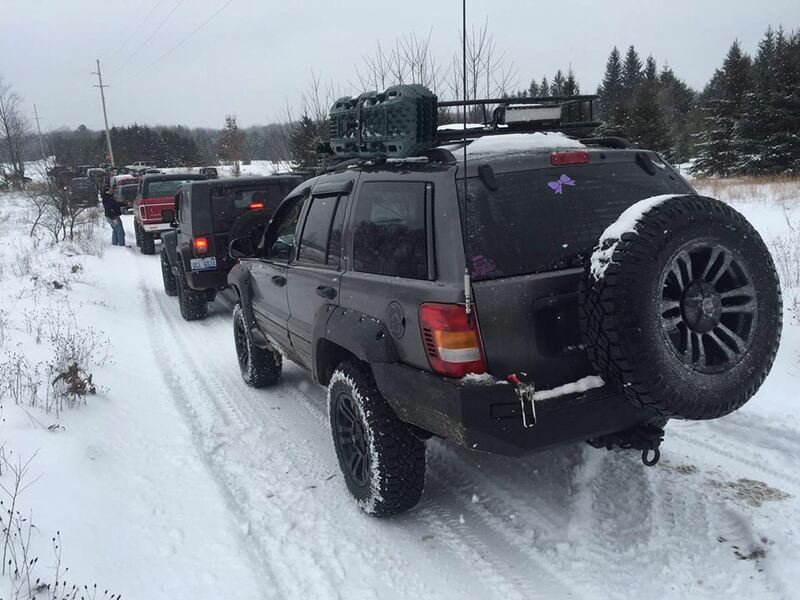 Northern Michigan rust eats away at everything, so it took four months of searching to find a Jeep WJ within my budget that was worthy of building into an ultimate expedition rig. Once I had the keys, it didn’t stay stock for long. The build began in the same week. 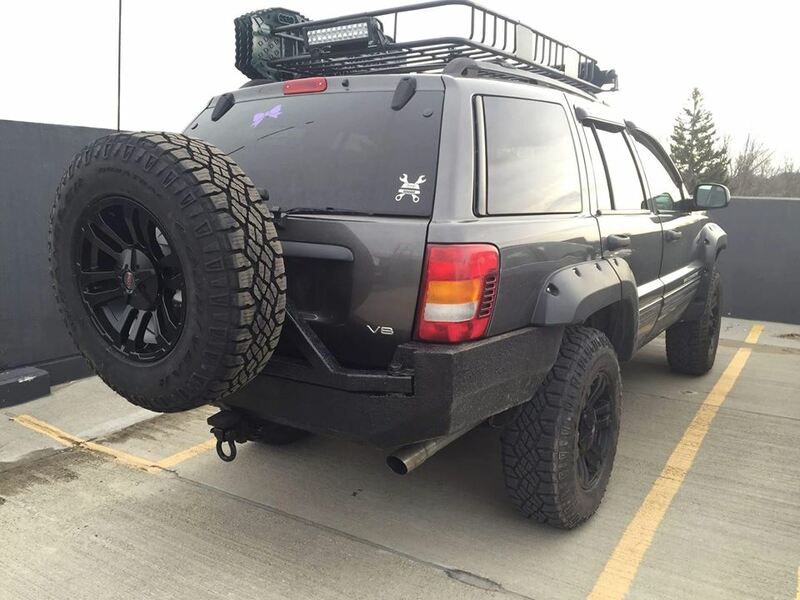 I started with a 4” Rough Country lift with a cheap set of 32” Goodyear Wrangler Duratrack tires mounted on Discount Tire wheels. I was pleasantly surprised by the smooth, straight ride, but I do have plans to switch out the wheels and tires once I wear these down. Next came Bushwhacker fender flares, an ARB onboard air compressor, and a roof rack to carry traction mats, two large light bars, and all of my camping gear. But after a few trips out on the trails, I knew something was missing. I wanted more protection in the front and rear, and the peace of mind that comes from having a winch. That’s when I found out about DIY Off Road Products. 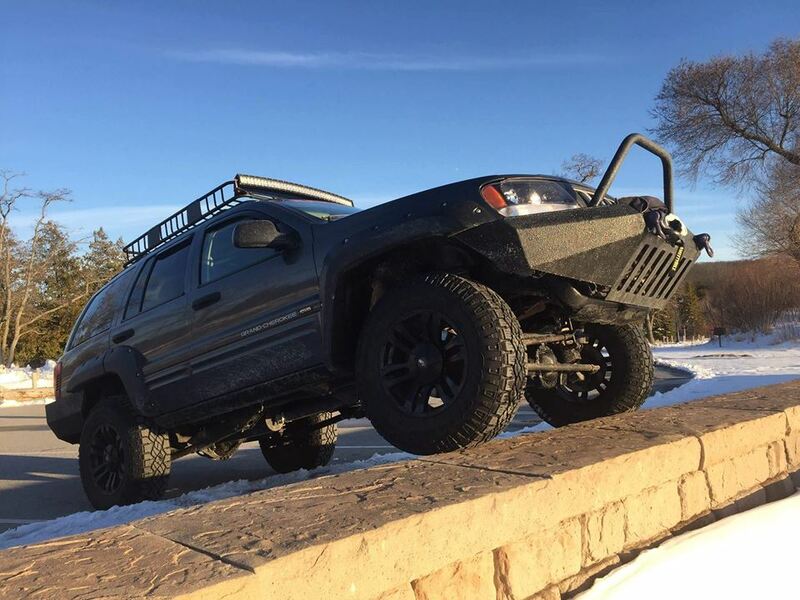 As all WJ owners come to realize, it is difficult to find aftermarket parts for our rigs. This kit is made of all pre-cut metal for the DIYer with a MIG welder, or for someone with access to a shop. In my case, the thick metal was perfect for practicing my welding. Each bumper took about a weekend to piece together, weld and grind, and then prime and apply truck bed liner. It was easiest to first fit everything together on the Jeep, tack weld, and remove it to finish. Before welding, I made sure my Smittybilt X20 10,000lb capacity winch fit, and it did, like a glove. A push bar was added as extra protection for the winch: There are a lot of deer where I live, and even more when I travel North to the Upper Peninsula. For the rear bumper, the tire bar was slightly modified to raise the tire a bit higher to fit my needs. Then, the license plate was mounted to the passenger side of the swing out bar, and a small hole for my backup camera was drilled into the lower-center of the bumper. After driving for a year with the G&G bumper setup, I am thrilled with it. I love the look and durability. I may slightly tweak the rear tire holder in the future to make room for extra gas and water container mounts, and to mount my traction mats behind the wheel to make room for a rooftop tent. That’s what is so great about this kit: It’s a straightforward assembly that leaves room for modifications to suite your specific needs, and if you decide to tweak things later, it’s easy to do.